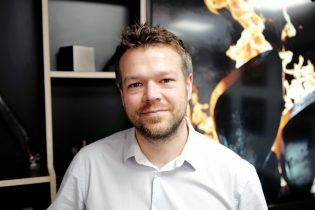 We are very pleased to welcome James Manley as our new Production Director. Stage One has seen significant growth over the last few years and the volume of work across all departments has increased accordingly. Our output is incredibly varied and as makers, we never quite know what we’ll be asked to turn our hands to next. James will be ensuring the consistency and high quality of this diverse output across all projects, large and small. James comes to us with a wealth of experience, having worked at the National Theatre and Imagination. We wish James the warmest of Stage One welcomes. New appointments in our Automation Department. Our Apprentice Intake for 2017.